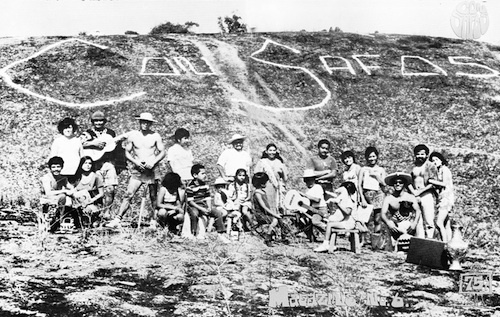 In the summer of 1968, a Los Angeles magazine that would become a provocative voice on civil rights issues from bad schools to the Vietnam War, police abuse, farmworker rights and other social justice causes was born on a hill in the eastside neighborhood of Lincoln Heights. This past Sunday, members of the original staff of “Con Safos Magazine” reunited at a reception celebrating the magazine’s creation 50 years ago at the height of the Chicano movement. The event, which included the presentation of the 2017 “Tortilla de Oro Awards,” was held at that Museum of Social Justice on Olvera Street, in the same gallery space where “Con Safos: Reflections of Life in the Barrio,” a multi-media exhibition chronicling the magazine’s history is on display to the public. The exhibition and a soon to be released documentary are part of a project to cement the magazine’s place in Chicano history. Fifty years ago, the civil rights movement was on fire in the barrios of Los Angeles, but there were no media outlets reporting the stories coming out of these Chicano neighborhoods. Con Safos’ founders filled the void by creating a new form of social commentary from straight out of the barrio, publishing works by Chicano writers, artists, playwrights, poets, cartoonists and political satirists. The Con Safos, “C/S” sign-off is a form of protection, a copyright of sorts that ensures, whether you like it or not, the work will stand. 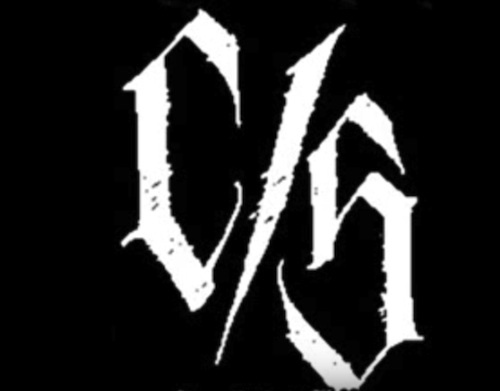 The magazine takes its name from the Con Safos, “C/S” sign-off seen on the ‘placas’ or graffiti in Chicano barrios. There are different accounts of its origins, but most agree that C/S is a form of protection, a copyright of sorts that ensures, whether you like it or not, the work will stand. The magazine’s full name is the same as the exhibition, Con Safos: Reflections of Life in the Barrio. Con Safos was in print from 1968 to 1972, with a short revival during the 1990s. Sunday’s reception also included a screening of the documentary “CON SAFOS: Reflections From Up On the Hill” by Jim Verlarde which is scheduled to open in the fall. Velarde explores the magazine’s history and influence through interviews with people involved in the publication, most notably founders Frank “Pancho” Sifuentes who passed away in 2012, and Ralph F. Lopez-Urbina, or “Rafas” as he is more commonly known,” who was not physically up to attending the reception. Joining Sunday’s celebration were former editor in chief Arturo Flores, art coordinator Antonio Gómez, art editor Sergio Hernández, social political coordinator Rudy Salinas and photographer Oscar Castillo, who each pointed out the importance of preserving the history of the Chicano movement for people growing up today and future generations. “This takes me back to a time when I wanted to make a change,” Hernández said, referring to the work he created for the magazine. “I wanted to capture the beauty of the barrio.” Hernández’ works also included biting commentaries in the form of political cartoons, a medium he still works in today. Salinas said he hopes his published works will be read by younger generations of Chicanos and they will be inspired to continue to fight injustice. The exhibition, curated by Cal State University, Channel Islands professor of art, Denise Lugo, showcases writings, drawings and cartoons representative of the magazine’s iconic style. Flores pointed out that publishing a magazine created to highlight the popular history of an invisible minority was an ongoing struggle. According to Gómez, the leading Chicano literary publication of the time was La Raza newspaper. He said the newspaper focused more on national issues of racism, immigration and injustice, but failed to expose the barrio experience. Accepted or not, Con Safos became a staple in the Chicano community and a platform that allowed many local artists, writers, poets, educators, activists, and politicians to contribute to exposing the injustices that plagued Chicano barrios. While they wrote and drew about history-making events like the UFW strikes and boycotts, high school walkouts and the Chicano Moratorium, contributors were not content with just sitting on the sideline as observers, but instead took great pride in participating in the social movements. “We were in the middle of the madness, but we were able to stay professional when it came to publishing our issue,” Salinas said. Flores said that his time as editor was one amazing ride. At the conclusion of the evening, Flores presented seven Tortilla de Oro (Golden Tortilla) awards to individuals, who continue to model a positive representation of Chicano culture and values. 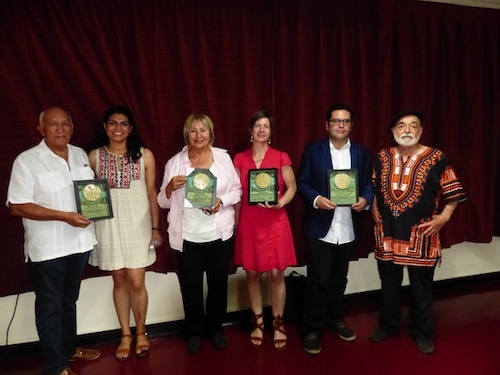 Recipients included founder Rafas Lopez-Urbina; exhibit curator Denise Lugo Brooklyn & Boyle Publisher Abel Salas; John Echeveste, CEO at LA Plaza de Culturas y Artes; and Rev. Jennifer Gutierrez, executive director of the Museum of Social Justice. Gutierrez said she’s honored to display the Con Safos exhibit at the museum, because she understands the important role the magazine played in shaping Chicano history. Updated 07/14/17: Adds Denise Lugo as curator and corrects list of recipients of the 2017 “Tortillo de Oro” award. July 13, 2017 Copyright © 2012 Eastern Group Publications, Inc. Please make correction to story, Leo Limon and myself Oscar Castillo did not receive the award. Ms. Denise Lugo, professor From CSU Channel Island was the curator of the exhibition and was also a recipient of the Tortilla de Oro Award. Thank you. This is a humble show that deserves a bigger presentation and more graphic representations of the magazine’s contents. It documents a special moment in the Chicano Movement.